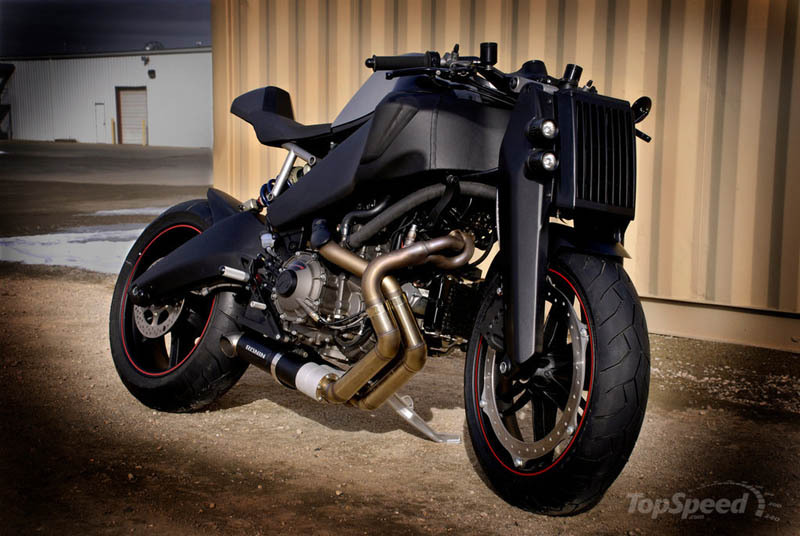 Now that Harley Davidson have pulled the plug on Buell, hopefully people will realize what a beautiful bike Erik Buell and company were building. 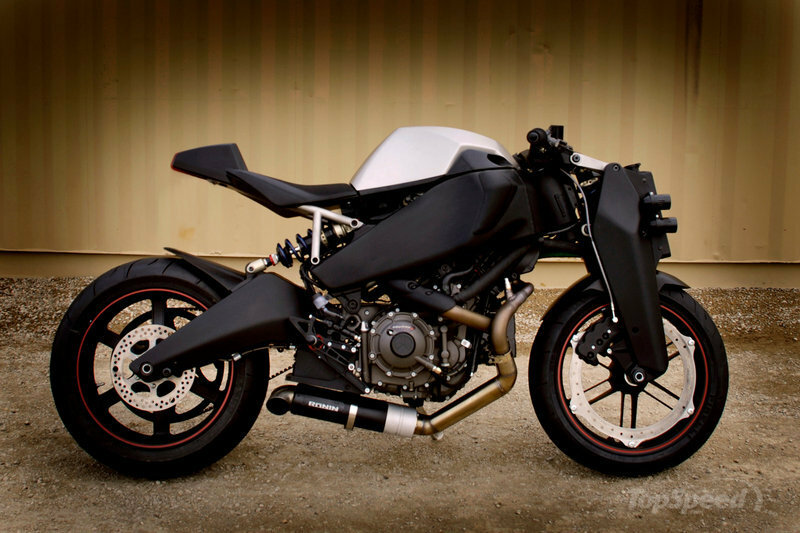 Magpul have, and they’ve been so inspired they tricked out the Buell 1125R and turned it into a dark robotic stalker called the Magpul Ronin. 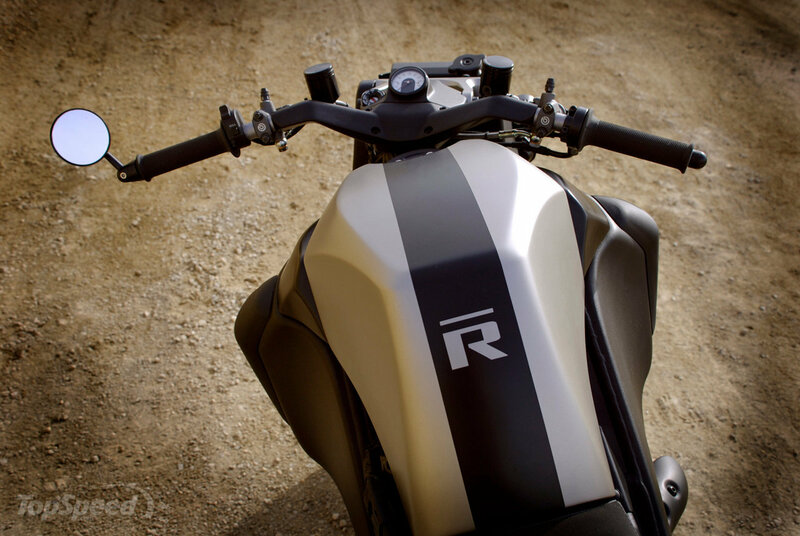 The in-house designed features differentiating the Magpul Ronin from a standard Buell 1125R are a girder front suspension, linkage fork with Penske coil-over monoshock, and front mounted radiator, all contouring a different approach towards a more dramatic, yet clean streetfighter style — which sheds 50lbs in the process. Although the front end is a bit reminiscent of the Confederate Wraith, the Ronin succeeds in creating a menacing beauty. 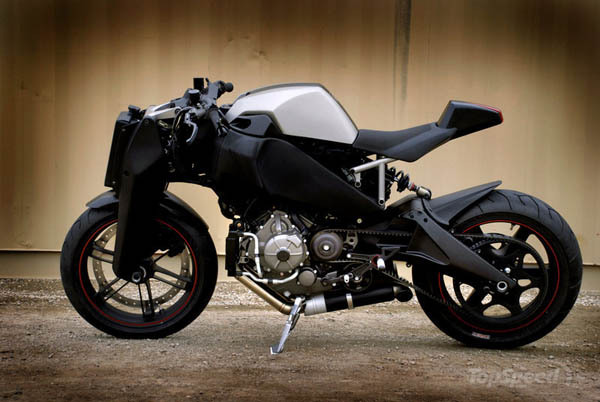 i luv is supa_dupa samurai, this bike is very shapeless & amazing…….. loving it, keep it on Buell. 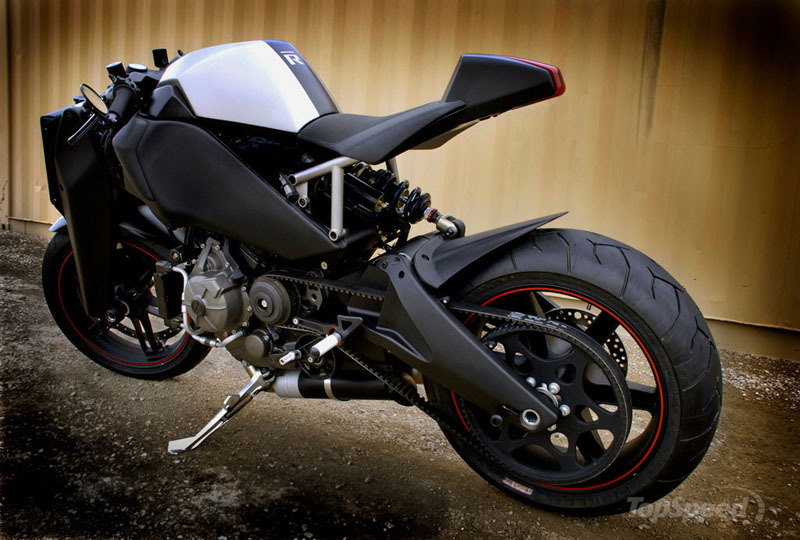 i luv this supa_dupa samurai, this bike is very shapeless & amazing…….. loving it, keep it on Buell.